While filming her graduate thesis project, My Garbage, My Neighborhood, a short that follows the struggle of the Haight Ashbury Neighborhood Council (HANC), filmmaker Soumyaa Kapil Behrens became deeply committed to HANC’s mission and its community. From this personal involvement originates 780 Frederick, a grassroots docu-noir still in the making that traces the gritty politics of gentrification in the San Francisco Haight Ashbury Neighborhood. During this film and panel event, the filmmaker will show exclusive clips from her never-before-seen feature and will discuss with the parties at stake the issues revolving around the eviction, the process of gentrification, and perhaps the loss of the counterculture which once was at the heart of the Haight Ashbury community. The Nominating Committee of HANC has made the following recommendations for Officers and Board members for 2013. All HANC members are eligible to serve. The election will take place at the November meeting. Garden for the Environment will offer the following classes in November and December of 2012. All classes will be offered at Garden for the Environment, San Francisco’s organic demonstration garden at 7th and Lawton Street. Since its founding in 1990, the garden has operated as a demonstration site for small-scale urban ecological food production, organic gardening, compost education and low water-use landscaping. 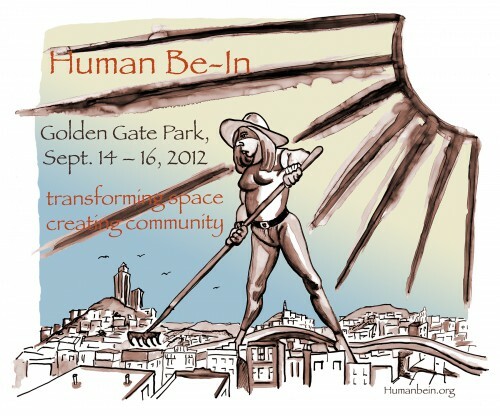 For more information, call (415) 731-5627, or go to www.gardenfortheenvironment.org. Year-round gardening is one of our favorite things about the Bay Area and now, as we find ourselves squarely in Fall, it's time to think about your winter vegetable garden. Join us for this class which we offer on the 2nd Saturday of every month for seasonal-specific instruction for year-round vegetable gardening. - Weeds, weeds, weeds! What to do about them. Proposition C is a Charter Amendment creating a Housing Trust Fund within the General Fund of San Francisco. If passed the fund will devote some $1.4 Billion over the next thirty years to the construction, acquisition and rehabilitation of permanently affordable rental housing in San Francisco, down payment assistance for first time homeowner, a homeowner stabilization fund for moderate income owners facing foreclosures, and a Infrastructure Challenge Grant Fund for small neighborhood parks, pedestrian safety improvements and community service space. 90% of the fund will be aimed at rental homes affordable to households earning no more than $50,000 , a figure covering the vast majority of San Francisco’s families with children and seniors. It is expected that each dollar from the fund will leverage at least a dollar from state and federal sources, producing housing for well over 30,000 San Franciscans over the life of the program. In addition, Proposition C will “incentivize” the development of middle income housing by reducing from 15% to 12% ( a 20% reduction) the requirement on market rate developers to build Below Market Rate (BMR) homes on the site of their market rate development. Since neither the current “in-lieu” fee nor the 20% requirement for “off-site” BMR production is reduced it is expected that more “on-site” opportunities for middle income San Franciscans will be created. The proposal was developed by Mayor Lee and a Housing Trust Fund Task Force made up of business and labor, community and industry representatives. It seeks to replace funding lost in state and federal cuts to affordable housing assistance and has received the support of a wide coalition of supporters. It was placed on the ballot with the support of nine of the eleven Supervisors. HANC will be campaigning for the measure and will help organize two weekend mobilizations in District 5 on September 29th and October 11th at 10 AM at the Richardson Apartments, at Fulton and Gough. We do not trust the current Recreation and Parks Department (RPD) management to spend taxpayer money wisely. RPD wants to evict HANC’s community garden, built at no cost to the City, and spend $250,000 to replace it with a community garden. RPD has not agreed to maintain or run what it builds. It has locked out the public to sell or lease our parks to the highest bidder. Families have been priced out of many park venues. Free or low-cost events have been cancelled or moved out of the parks because of excessive fees. These include outrageous fees to the Park Patrol, which has been mired in scandal. RPD’s mission should be to provide parks and recreation centers for the public, but it prefers being a “public-private partnership” profit center. After last June’s election, RPD entered into a lease for Coit Tower that ignored the will of the voters. Ignoring public opinion has caused RPD to spend millions of dollars on legal fees. We support improving our parks and recreation centers, but only when they remain free and open to all. Don’t trust RPD; vote NO on Proposition B. On September 14, an activist group came to our site at 780 Frederick and transformed it into a space of peaceful protest and community gathering. The event had music from the Classical Revolution, the Interstellar Transmissions and many other bands and performance artists. There was yoga. There was meditation. There was a seed library and teach-in workshops on ecology, self reliance and the fate of urban agriculture in our city today. Even the police and the park rangers swung by a few times, to feast their eyes on the goings-on in the garden. At nightfall, the music died down to un-amplified drumbeats and a makeshift screen drew everyone’s attention with videos and dialogue about community togetherness. Thanks for sticking up for us--Space TranSFormers--come back anytime. Hopefully, we will still be here to welcome you.